Native Parisian, photographer and educator Serge Ramelli joins the show to discuss the impact of the recent fire at Notre Dame. Serge Ramelli joins the show to discuss the impact of the recent fire at Notre Dame as well as some things that we all can do to help restore this important part of history to it's rightful and former glory. Watch and listen to Ziv Gillat discuss his past successes co-founding Eye-Fi, and how he worked closely with Athentech on their award-winning software Perfectly Clear — as well as the recent announcement of the Athentech acquisition by EyeQ.Photos is the latest in a series of Ziv power-moves. In this interview, Trey Ratcliff discusses his new book "Under the Influence - How to Fake Your Way into Getting Rich on Instagram" and the hidden world of fake influencers on Instagram and other social media services. David duChemin and I sit down to catch up about his latest adventures! Filmmaker Lee Herbet joins the show to discuss the art of visual storytelling and his approach to creating stunning short films and corporate video! 10 Careers in 40 Years! In this interview, I chat with veteran photographer Kevin Gilbert. Kevin and I discuss how he has managed to have at least 10 successful careers in photographer in 40 years. Marc Charette demystifies some of the changes affecting photographers practicing VR and 360º photography. Inside the mind of Chase Jarvis and the future of CreativeLive! Listen in as two successful "Photopreneurs" describe how they were able to beat the odds and build highly successful businesses. The Art of Six Figures! In this interview Easton Reynolds breaks down how HE has broken down the process for creating high levels of repeatable income using Facebook Ads! Getting Noticed in a Distracted World — Quality vs Quantity? Years ago big projects and portfolios were the way to cement your name in people's memories. Now you need to be releasing images every day to avoid being forgotten. Or do you? In this interview, Simon Ringsmuth joins me to talk about his amazing on-going personal project — The Weekly Fifty! 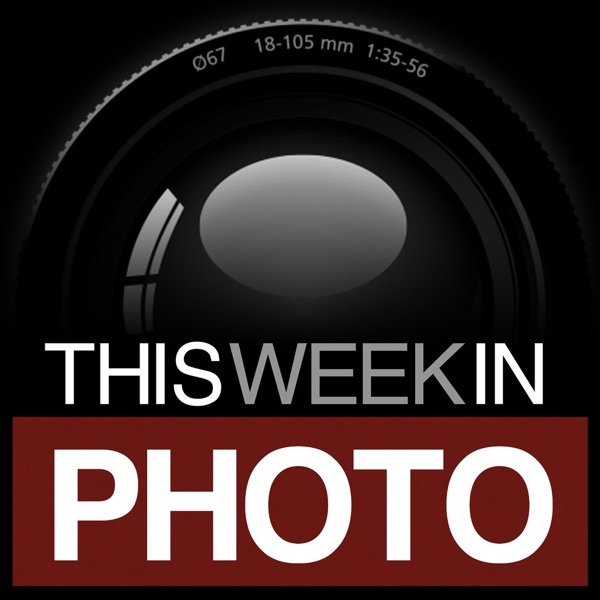 TWiP 558 – WPPI 2019! An Attendee’s Perspective. Chris Berry and Troy Miller join the show to discuss the recently concluded 2019 Wedding and Portrait Photographers International conference. In this interview, color expert from John Walrath joins me to discuss best practices for achieving accurate color in any situation. A discussion about some actionable ways that you can begin increasing your influence, growing your audience and building your business... and as a result making more money! In this interview I discuss a wonderful training resource for photographers called Masters of Photography. In this episode I sit down with two photographers, they are the best of friends but each specializes in a different genre of photography and as a result, have different approaches to interacting with their subjects. In this interview I discuss stock photography with seasoned photo industry veteran and creative director Brenda Milis. TWiP 554 – Talking Photo Gear with LensRentals! An impartial and honest show focused on the “truth” about photography gear featuring Roger Cicala and Drew Cicala, the guys behind LensRentals.com. Curtis Jones started his career as a Pharmacist but quickly gave into to the call of the wild — and his camera! Panasonic Lumix S1 & S1R Virtual Launch Party! In this impromptu interview I'm joined by several Lumix Ambassadors to discuss these new cameras, and how they stack up to the competition. We also discuss the micro-four-thirds format and Panasonics commitment to that platform. In this interview I get to interview... MY BIG SISTER! Sheryl Holman is the Founder and CEO of Community Assistance Programs, also known as CAPs in Chicago. TWiP 553 – The Amazing Return of Flickr! In this episode, I’m joined by Gilmar Smith and Alastair Jolly to discuss Flickr and its amazing return! In this episode, Adobe's Josh Haftel joins to discuss the company's mobile strategy with regard to Lightroom CC, Lightroom Classic, and Lightroom Mobile. TWiP 552 – The Best Camera Ever Made! In this episode, commercial photographer Wayne Johns joins me to discuss the idea of chasing the best camera “holy grail”. Ibarionex and Frederickerick discuss the idea of "seeing" as a photographer and moving away from the gear obsession and towards getting better at your craft. In this interview I sit down with Karen Hutton and Anton Lorimer, the two amazing artists behind the newly released Smugmug Film titled "Framing the Journey". TWiP 549 – Photographers Travel Tips for 2019 PART TWO! In this episode, once again I’m joined by Matt Granger and Lee Herbet to discuss some of their learnings from having traveled the globe shooting stills and video, teaching workshops and more. Andrew D. Bernstein is the Senior Official Photographer for the NBA. Andrew has collaborated on a fantastic new book with NBA great Kobe Bryant called The Mamba Mentality - How I Play. In this epiosode, Asher Svidensky and I discuss his travels and how he is driven to tell stories, rather than to just take photographs! In this episode, I'm joined by two creatives — who coincidentally both happen to originate from Austrailia. Matt Granger and Lee Herbet join the show to discuss some of their learnings from having traveled the globe shooting stills and video, teaching workshops and more. Photography’s Next Big Thing — Motion Art? Troy Christopher Plota is a co-founder of Plotagraph — software designed to allow you to add animation to your still photographs. He believes the next wave of creativity will come from motion art. Privacy is the name of the game in this episode. Is it now just a unicorn? Or are we learning from our mistakes? The Importance of the PRINT! Paul Hassell joins to discuss the renaissance of printing, and the importance of the print. In this episode of TWiP, I'm joined by legendary photographer and compositing artist Renee Robyn! Understanding 3rd Party Lenses with The Phoblographer himself! Chris Gampat discusses the virtues and economics of third-party lenses versus OEM lenses.